Hamilton May presents a modern house offered for rent, located in Libertów, on a plot of land with a swimming pool. Hamilton May would like to present a high standard detached house for rent, situated in an exclusive residential neighborhood located in Mogilany, south of the Kraków city center, at "Parkowe Wzgórze"
Hamilton May is pleased to present a spacious, detached house with 275m2 of usable space, available for rent in a quiet and peaceful area of the Prokocim district. Hamilton May presents a semidetached house in the quiet Srebrne Uroczysko settlement, situated by the forest. Hamilton May is presenting a house of 180 m2 for rent, in great location with green and quiet neighborhood. Hamilton May is pleased to present a 2-level house offered for rent, located on a discreet plot of 14 ares, in a quiet area of Libertów. Hamilton May is proud to present a comfortable, modern house of 270m2, located in Mogilany. The house has five bedrooms, large garden, terrace and a garage for two cars. Hamilton May is happy to offer an amazing and modern house in quiet Mogilany, near Krakow. The International School of Kraków (ISK) is a non-profit international school founded in 1993 by American Embassy in Poland. The school belongs to the Central and Eastern European Schools Association and competes with schools throughout Central and Eastern Europe. It is accredited by the Council of International Schools and the New England Association of Schools and Colleges. Since 2012 provides IB Diploma Programme for the high school. In 2006, the school moved to a new campus in Lusina with funding assistance from the American embassy. At Hamilton May, we regularly receive requirements from expat and diplomatic families who require family houses within reasonable travel distance of ISK. 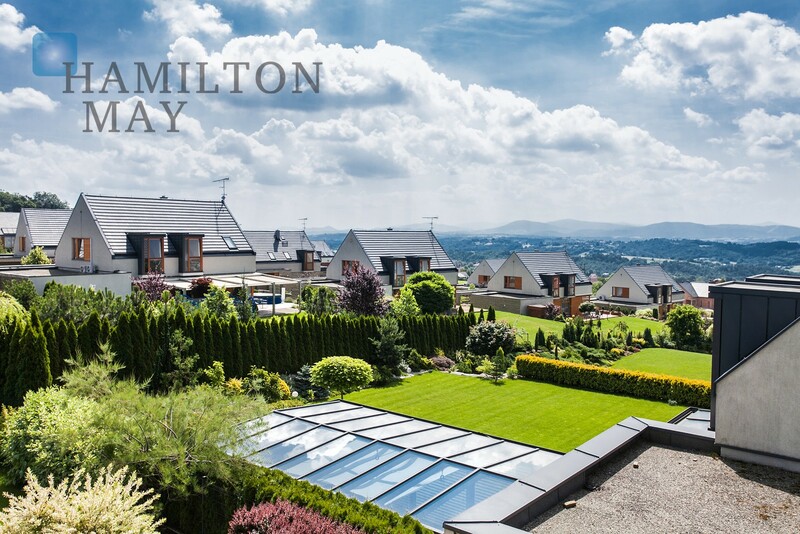 For your convenience, Hamilton May has provided a selection of properties that have been pre-selected as both suitable and nearby to ISK, focusing on family houses of approx 150m2 to 400m2, which typically range from 2 to 4 bedrooms. Generally the houses include parking facilities and garages. Popular locations which service IAS are neighboring areas of Libertów, Mogilany (with popular 'Parkowe Wzgórze' housing complex), Swoszowice, as well as properties located in southern part of Kraków. We encourage you to contact us for more information on properties of interest.